R2003, Patrick O'Connor. Sdlg. 96-7. Frosted rose self with white suffusion. Yellow orange spear signal. Beausoleil x Irish Bayou. 36", ML. 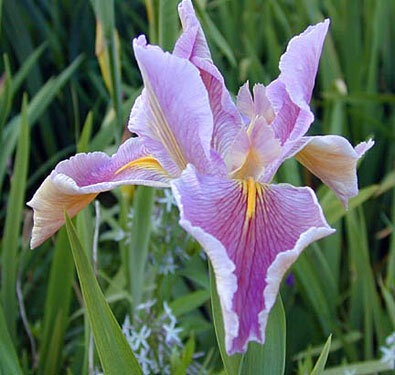 The form of this iris is unique. The petals are very upright and stay that way. All the petals are a bit twisted or fluted. Unique.